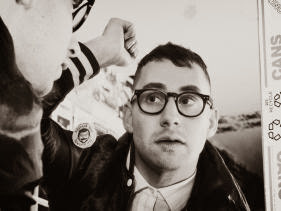 Last month, Jack Antonoff shared the first single from Bleachers’ forthcoming sophomore album, “Don’t Take The Money,” which was co-written by Lorde and features her on backing vocals. Today, he’s sharing another new song from the album, “Hate That You Know Me,” featuring Carly Rae Jepsen and Sam Dew on backing vocals, and was co-written by Julia Michaels. The track is taken from Bleachers upcoming album Gone Now that drops June 2nd.